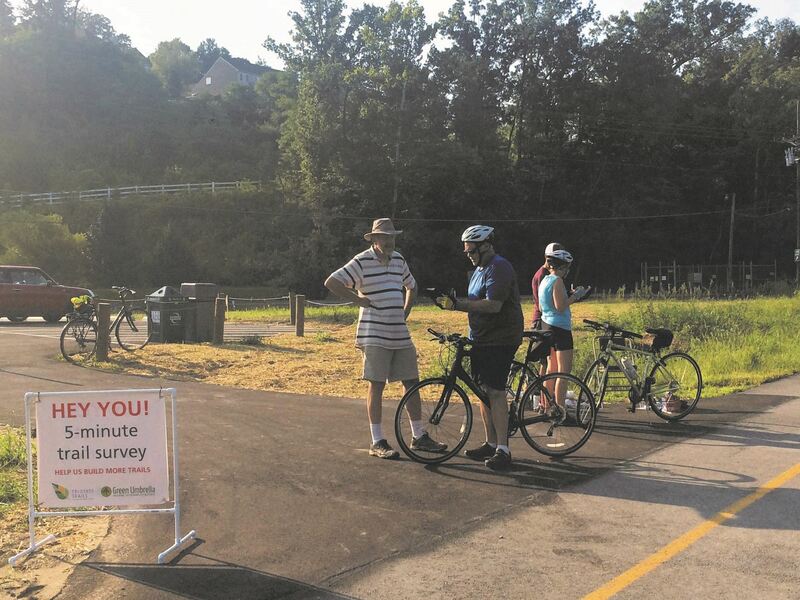 Newport, KY – Tri-State Trails, in partnership with The Devou Good Project, will launch a new program called Connect NKY to expand active transportation infrastructure in Northern Kentucky. Bicycling advocates have galvanized around an idea to encourage positive change for all road users in response to the “NKY Hates Bicyclists” Facebook group that received public attention in September 2018. Connect NKY will provide technical expertise of YARD & Company to work with the selected community in engaging, designing, and implementing the tactical demonstration project in spring 2019. 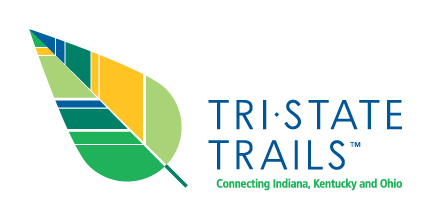 Tri-State Trails is hosting a workshop about the Request for Proposals process on February 12 at 4pm at ROAD iD in Covington. Residents, government representatives, and elected officials are encouraged to attend. For more information about Connect NKY, visit ConnectNKY.org. An initiative of Green Umbrella with funding from Interact for Health, Tri-State Trails is an alliance of trail advocates advancing a vision to connect and expand our region's trail network. Our mission is to connect people and places with a regional trails network that enhances vibrancy and equity in our community. For more information, visit www.tristatetrails.org. Cincinnati, OH – Spring has finally arrived in the tri-state, just in time for Bike Month! Join the bicycling community in Cincinnati and Northern Kentucky to celebrate throughout the month of May. Bike Month is a collection of nearly fifty events to celebrate all things bicycling in Greater Cincinnati. There are all kinds of themed group rides to participate in—for beginners and avid riders alike—whether you’re an enthusiast for donuts or beer or historic preservation. There are loads of events to do off your bike too, like a bicycle-themed board game night, a live recording of The Gravel Lot podcast, and a special screening of Pee-Wee’s Big Adventure. Check out the event calendar at CincyBikeMonth.com to view a full listing of events. 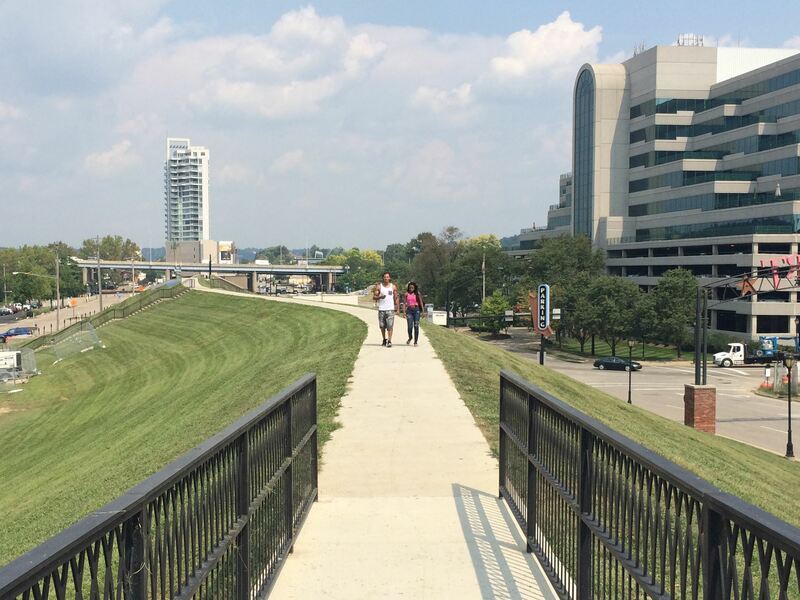 Cincinnati, OH – Fifteen organizations in Butler and Warren Counties have partnered to reenergize a 2002 vision to connect Greater Cincinnati’s two longest trails, the Little Miami Scenic Trail and Great Miami River Trail. Spearheaded by Green Umbrella’s Tri-State Trails initiative, the goal of the Miami 2 Miami Action Plan is to outline a path forward to complete the multi-use trail network that will connect Hamilton to Mason. The Miami 2 Miami Connection Feasibility Study was originally conducted fifteen years ago, led by OKI Regional Council of Governments. The study recommended a 125-mile network of multi-use trails, bike lanes, and shared roads, of which 84 miles were identified as priority corridors. Since 2002, 36 miles of the network have been constructed, and an additional 37 miles outside of the original project scope now exist. Seven communities that the network plans to traverse through—Hamilton, Fairfield, Mason, Fairfield Township, West Chester Township, Liberty Township, and Deerfield Township—have passed a memorandum of understanding solidifying their commitment to collaborate to plan, construct, and maintain the trail system. Five additional stakeholders (Monroe, MetroParks of Butler County, Butler County Transportation Improvement District, Butler County Visitors Bureau, and Butler Tech) and three community foundations (Community Foundation of West Chester-Liberty, Hamilton Community Foundation, and Fairfield Community Foundation) have also contributed to advance the Miami 2 Miami Action Plan. Led by Tri-State Trails, the project design team includes Human Nature and AECOM. For context, the Little Miami Scenic Trail is the longest connected trail in Tri-State Trails’ 10-county service area, spanning over 75 miles from Cincinnati to Springfield, Ohio. It is also the southern leg of the 320-mile Ohio to Erie Trail, connecting Cincinnati to Cleveland, Ohio. The Great Miami River Trail is the second-longest trail, with plans to span over 95 miles to connect Fairfield to Piqua, Ohio, of which, eighty-three miles are existing and twelve miles are currently being planned. About Tri-State Trails: An initiative of Green Umbrella with funding from Interact for Health, Tri-State Trails is an alliance of trail advocates advancing a vision to connect and expand our region's trail network. Our mission is to connect people and places with a regional trails network that enhances vibrancy and equity in our community. For more information, visit www.tristatetrails.org. Cincinnati, OH – Bike and pedestrian advocates, community stakeholders, and government officials will unite to celebrate trail progress and look toward the future at Green Umbrella’s 4th Annual Regional Trails Summit. This year’s theme is “Making the Economic Case for Trails” and the event, presented by Green Umbrella and Tri-State Trails with lead sponsorship support from Interact for Health and Human Nature, will take place at Cincinnati Zoo’s Frisch’s Theater from 9am to 3:30pm on Friday, August 26. 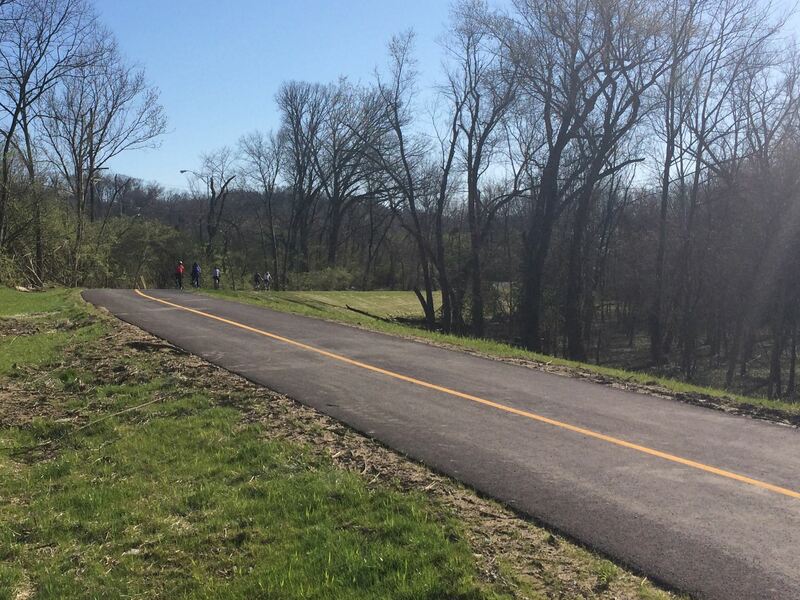 From 2015 to present, trail managers in our region constructed over 7.5 miles of new multi-use trails valued at over $5.5 million, including extensions to regional corridors such as the Little Miami Scenic Trail, Great Miami River Trail, Williamsburg to Batavia Trail, and Cincinnati Connects Urban Trail Loop. The Greater Cincinnati region now has over 320 miles of multi-use trails, over 80 miles of on-road biking facilities, around 250 miles of hiking trails, and nearly 70 miles of natural surface mountain biking trails—all of which can be found on Tri-State Trails’ interactive trail map hosted at www.MeetMeOutdoors.org. 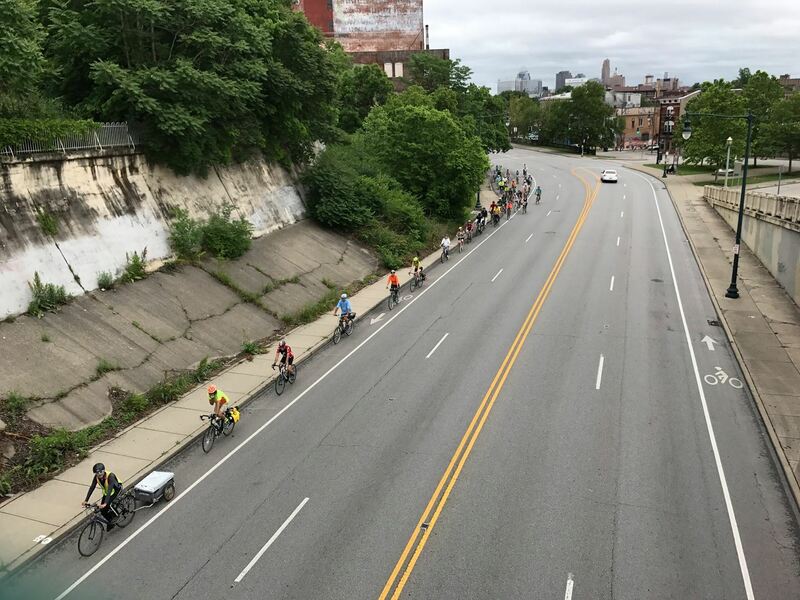 “We’ve strategically crafted this year’s Trails Summit agenda to demonstrate how critical it is that tri-state communities invest in active transportation infrastructure,” said Frank Henson, Chair of Tri-State Trails and President of Queen City Bike. “Creating walkable and bikeable communities helps us remain economically competitive with peer regions.” The first panel of the Trails Summit will feature perspectives from local developers CMC Properties and Greiwe Development in addition to the Cincinnati USA Regional Chamber and University of Cincinnati School of Planning to highlight how trails can be used as an economic development tool. During lunch, the keynote panel will showcase Cincy Red Bike, International Mountain Biking Association, Cincinnati Connects, and Columbus’ Yay Bikes! to illustrate how trails for different users can interconnect to enhance the active transportation system of a region. Great Parks of Hamilton County, Wasson Way, Riding Forward, and Southbank Partners will close the panel presentations for the day with a discussion about building public and political support for trails. For more information about the 4th Annual Regional Trails Summit or to register, please visit www.GreenUmbrella.org/TrailsSummit. Registration will remain open through August 24, 2016. The cost is $45 for Green Umbrella members and $55 for the general public, and breakfast and lunch are included. All are welcome. 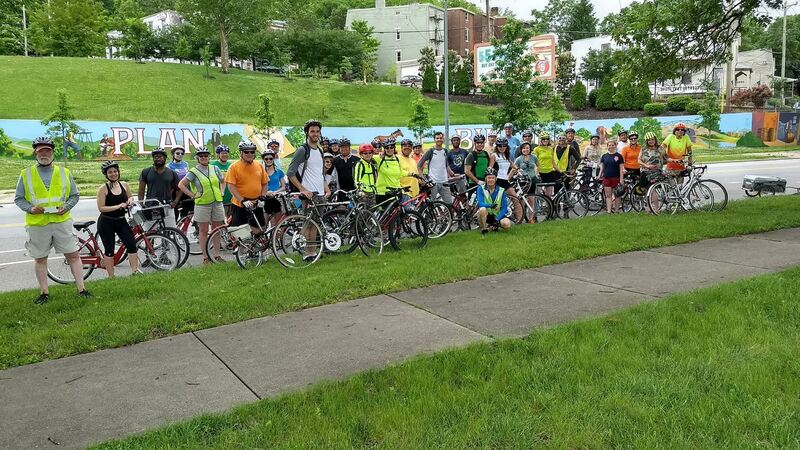 An initiative of Green Umbrella and funded by Interact for Health, Tri-State Trails is a coalition of trail advocates, a physical network of trails, and a vision to connect the Greater Cincinnati region. Our mission is to connect people and places via a regional trails network that promotes vibrant communities through equitable access to active transportation and outdoor recreation. Cincinnati, OH – For the first time in recent history, bicyclists and pedestrians have become a priority in the Greater Cincinnati region’s transportation policy. This month, the OKI Regional Council of Governments Board of Directors unanimously approved the 4-year update to their 2040 Regional Transportation Plan. 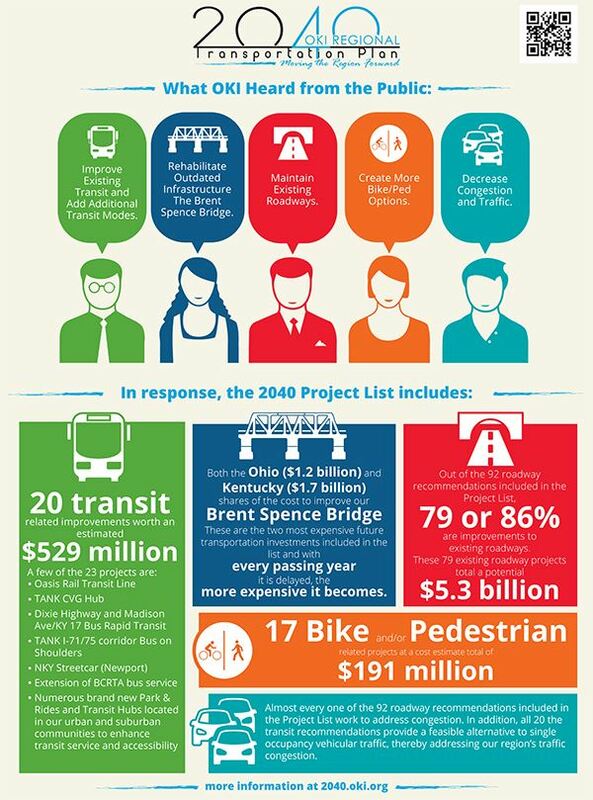 The update includes 17 prioritized bike and pedestrian related projects, worth an estimated $191 million. Previously, the 2040 Plan included only three prioritized bike and pedestrian projects equating approximately $2.5 million. The significant increase was due to a partnership between Green Umbrella’s Tri-State Trails initiative and OKI to elevate bicycle and pedestrian projects in the 2040 Plan, and an incredible request for more bike and pedestrian options during OKI’s public involvement process leading up to the June vote. OKI administers some of the largest transportation funding mechanisms available to local governments in the tri-state region. The 2040 Regional Transportation Plan serves as a guiding document in OKI’s project review and scoring process for federal transportation funding and is updated every four years. The region's first Opening Day on the Trails Challenge will kick off during the annual Greater Cincinnati Earth Day Celebration at Sawyer Point. A group walk is scheduled for 2 p.m., which will take participants on the Purple People Bridge into Kentucky, traverse the Riverfront Commons Trail and return via the Taylor Southgate Bridge (easy route) and the Roebling Suspension Bridge (moderate route). “The 7-week Trails Challenge, which will end on June 4th with a National Trails Day celebration, is a great opportunity for people to explore our region’s trails. The momentum towards a connected regional trail network is strong here, which is why we decided to make our region’s first Opening Day on the Trails Challenge also the longest running event nationally of its kind. We know too that connecting people and places through active transportation and outdoor recreation amenities like trails and bike lanes will help make our region a highly desirable place to live, play, and work,” says Wade Johnston, Regional Trails Coordinator for Green Umbrella’s Tri-State Trails initiative. Increased mobility, improved public health, economic development, a cleaner environment and enhanced community are some of the primary benefits of active-transportation systems. A member-supported nonprofit, RTC has been advocating for the development and protection of trails throughout America since 1986. Opening Day on the Trails events are free and open to the public, made possible by a grant from Interact for Health. Register at www.MeetMeOutdoors.com/TrailsChallenge to receive a weekly digest of area events by email and to learn how to win prizes for completing the challenge. Visit railstotrails.org/OpeningDay to take this year’s pledge to get out on a trail on Opening Day. All individuals who take the pledge will be entered for a chance to win a free bike from Fuji. 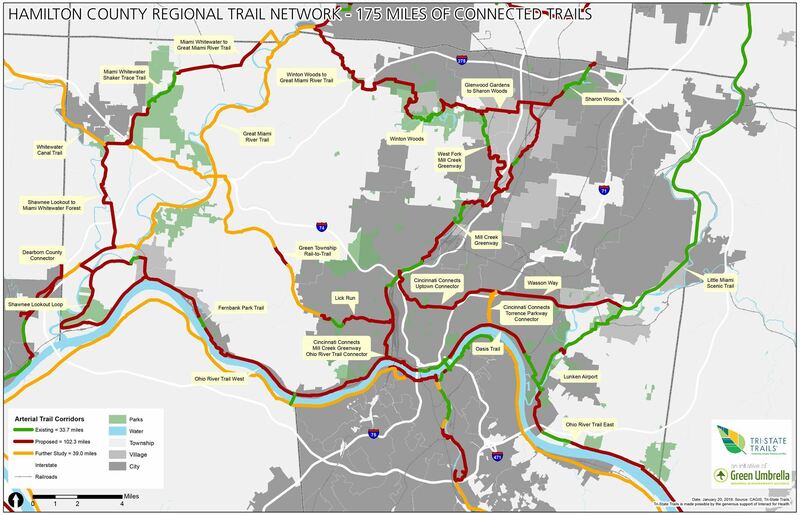 On January 25, Tri-State Trails presented a vision for a connected network of 175 miles of existing, planned, or proposed trails to the Hamilton County Transportation Improvement District. This information has been assembled in collaboration with numerous community and organizational partners. Cost estimates are preliminary and planning level at this time.